Since debuting this beautiful ornament tree a couple of years ago, it has quickly become one of our best sellers. Perfect for heavy ornaments, this sturdy metal ornament tree looks just as good on it's own as it does full of your collectible ornaments. 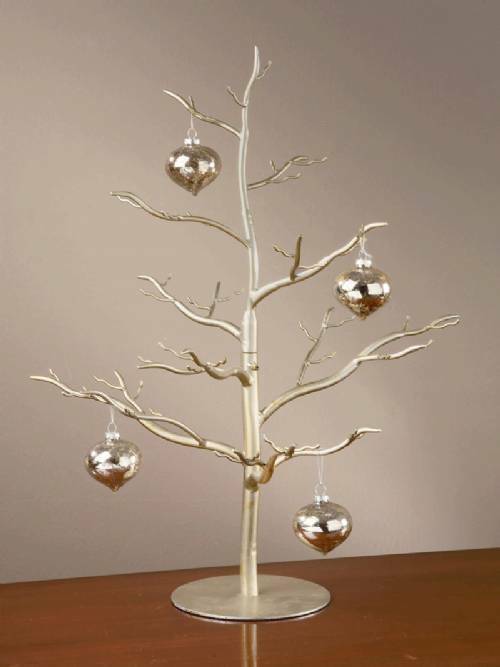 Tree features an antique silver finish with a hand-applied gold brush overlay, to give a special glow. The unique, natural looking branch design can accommodate up to 42 ornaments. Measures 26" high x 20" wide x 16" deep. Base diameter is 7 3/8". This is a display tree you can have up year round!